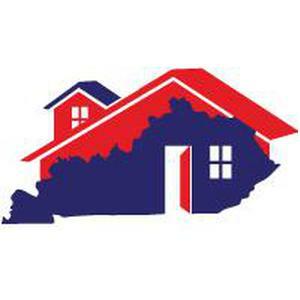 The Midtown Alliance of Neighbors is one of several service sites across Kentucky partnering with the Homeless and Housing Coalition of Kentucky in their Homes for All program. This program is one of many AmeriCorps programs across the country. For more information about the Homes for All program, check out HHCK's website at www.hhck.org. The service position offers an annual living allowance of $6,686. Student loan deferment. And an education award of of $2,960 upon completion of 900 hours of service. (Can be used for past or future educational costs.) Student loans are deferred during the service period. Applications for this position will be taken through February 20, 2018. --Thorough and organized with strong orientation to detail. --Ability to work as a member of a team, meet deadlines, and plan work. --Strong aptitude and some hands-on experience in construction is helpful. --Excellent communication skills, with ability to communicate with community-based volunteers, youth volunteers, halfway house inmate community service workers, and low- and moderate-income homeowner clients; and to speak to groups to recruit and lead volunteers. Should be comfortable with telephone, mail, e-mail, facebook, website, and public speaking as modes of communication. --Ability to effectively motivate and train volunteers to participate in construction activities. --Ability to create and edit documents in Microsoft Word and Excel. Work will include all aspects of the event--review of applications, visits to identify and prioritize work, outreach and recruitment of volunteers, pricing and purchase of materials as needed, coordination of work to be done, hands-on work as experience permits, tracking of expenses, and completion of all related paperwork required by the granting agency. --Work with staff and homeowner to define scope of work. Aid in procurement of contractor(s). --Assist in working with contractors, and supervise volunteer work crews in completing additional work. --As directed, take responsibility for recordkeeping associated with each project, which may include client intake, final income and ownership verification, preparation of drawings or development of scope of work, procurement of contractors, agreements and contracts with clients and contractors, scheduling of inspections with the granting agency, tracking of expenditures, and all other required documentation. (3) Other Duties Related to the Homes for All Program (Approximately 10% of the member's total time will be spent on these activities). 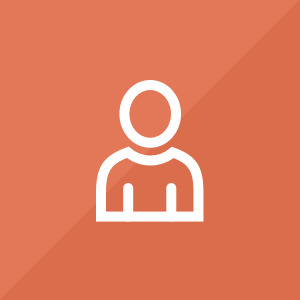 --Member will complete necessary Homes for All paperwork and reporting. Upon completion of 900 hours of service a $2,960 educational award is available to pay qualified student loans, tuition, or eligible student expenses. (For members over 55, this award can be passed to children, grandchildren, or foster children.) We can assist in finding affordable housing, if needed. Candidate must have a valid driver's license and good driving record. Candidate must be able to pass a FBI background check. We will share your profile and application with Homeless & Housing Coalition of Kentucky (Homes for All AmeriCorps). Before we can tell Homeless & Housing Coalition of Kentucky (Homes for All AmeriCorps) to look at your profile and review your application, we need a few more details about you.